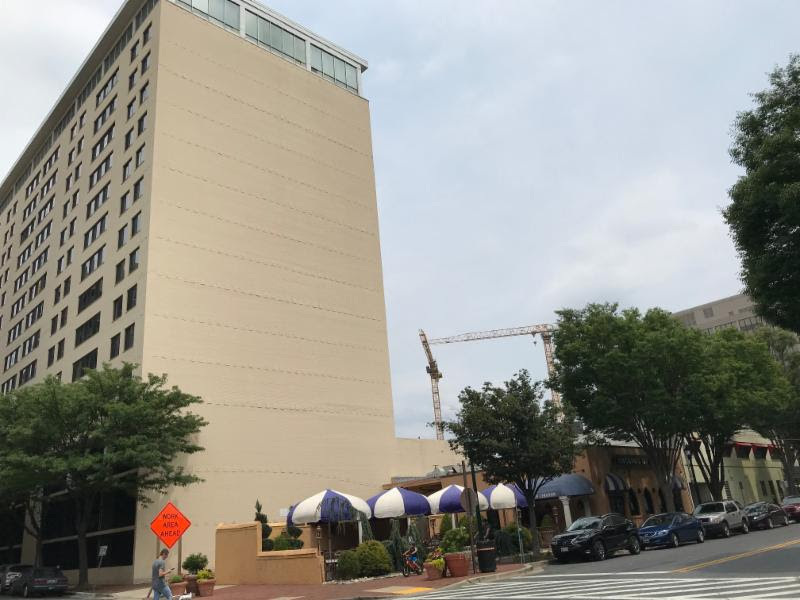 The Bethesda Arts & Entertainment District is currently seeking proposals for a large scale mural on the Norfolk Avenue facade of the Triangle Towers apartment building at 4853 Cordell Avenue in Bethesda, MD. The wall designated for the public mural is approximately 70 feet wide and 100 feet tall. A $50,000 stipend will be provided to the selected artist to pay for supplies and the artist’s time. Necessary lifts and scaffolding will be provided and associated fees will not be the responsibility of the selected artist. Artists must be 18 years of age or older and be residents of Washington, D.C., Maryland or Virginia to apply. Artists must also have prior experience with the design and installation of large scale murals and are asked to submit a detailed, site-specific proposal for the Triangle Towers Mural. The deadline to apply is September 1, 2018. Special thanks to our partners Southern Management and the Maryland-National Capital Park & Planning Commission for making this new public art project in downtown Bethesda possible.